A while back, I answered this question, sharing my ideas about being an artist who holds down multiple jobs on the awesome illustration blog Pikaland. 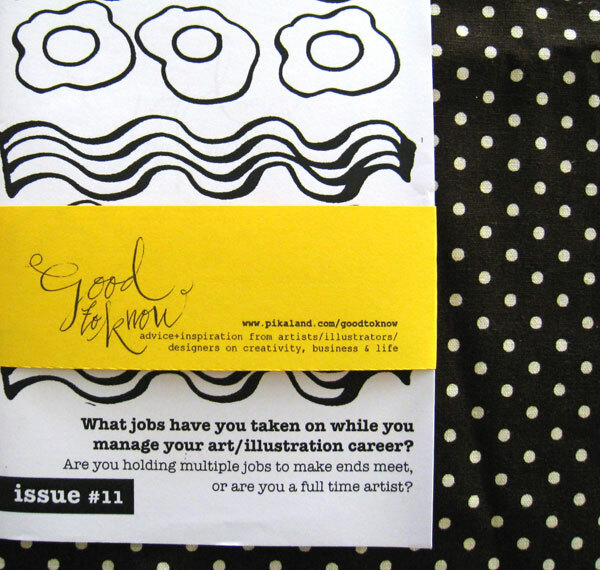 You can find my thoughts, along with those of dozens of other artists and illustrators, in the #11 issue of Good to Know Zine, available for purchase here. Of course, a lot has changed since I last answered that question. I’m no longer employed at the administrative job I mentioned, and my daytime job now actually has even less to do with art and design than the job I had at the time. Wrong direction, right? Well, you could say that, except for the fact that since last September, I’ve also been working a second job that I LOVE. And when I say LOVE (!!!! 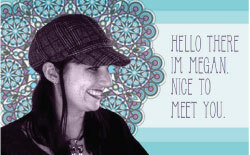 ), I say it with the kind of passion and enthusiasm that I can’t convey through type. It’s the kind of job that I sit down in my car when I go home with a big grin on my face, not just because I enjoyed what I was doing, but because I feel like I’m good at it. I’m actually using the skills I’ve worked really hard to master, and that feels fantastic. A couple of nights and weekends a week, I instruct painting classes at a BYOB painting studio. People show up with friends and a bottle of wine, and I lead them though the process of painting a pre-selected image in acrylics. It’s fun, it’s relaxed, I meet all kinds of people, the studio is gorgeous (if you follow me on Instagram you’ve probably seen it), and I enjoy it immensely. Not only that, I’ve had the chance to meet and work with some other amazingly talented artists, which is a huge inspiration. I just wanted to add this, because for years I’ve held the opinion that you can’t truly feel successful unless you’re doing nothing but your art, full-time, 100% of the time. Of course, I’d still love to be a completely self-employed artist, but my opinion of success is changing. I’m happy now. I get to help people create things, more people are buying and seeing my work, and for the first time in a long time, I’ve been able to carve out a lot more “me time” at home to read and paint (I’ve actually devoured four books in four weekends, but more about that soon). I’m starting to define success differently, less as a destination and more as the process of moving in the right direction. If things are improving, building, growing, and are the situation overall looks better than it did this time last year, that to me feels like success.